Last shutdown command for Monte Rosa is being issued. In Piz Daint, a Cray XC30, the new platform has one of today’s most energy-efficient petaflop computers in the world at its disposal. Thanks to its hybrid system based on graphic processors (GPUs) and conventional CPUs, and with the help of special software, it is able to visually depict the results of computations even while simulations are running. 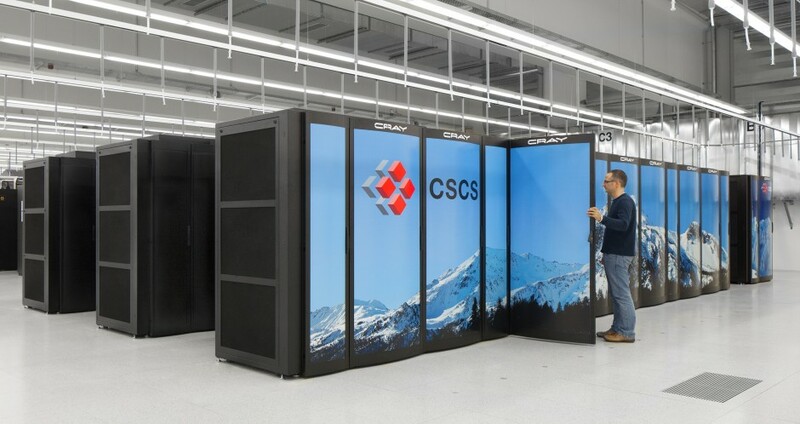 By adding Piz Dora – a Cray XC40 with 1,256 compute nodes consisting solely of CPUs – to the computing system, the platform can now not only carry out conventional calculations and visualisations but also analyse and structure data. This enables it, for example, to filter out what is important from a vast volume of data – a vital function in this age of Big Data. 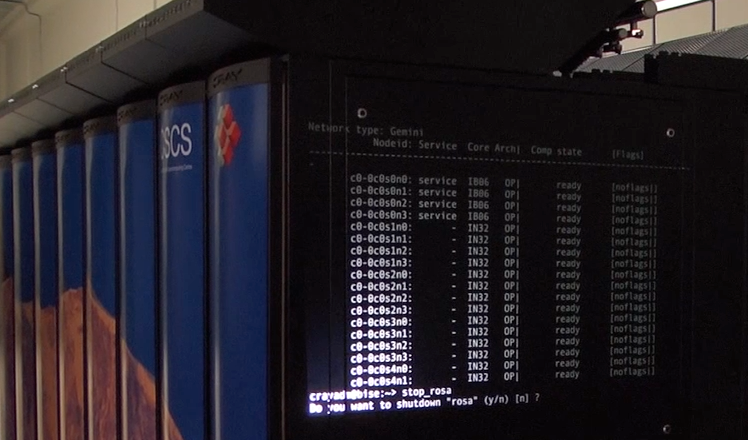 The computing system comprising Piz Daint and Piz Dora is connected by a shared cache memory that is used while a computation is being carried out (scratch space) and by what is currently one of the most powerful networks in the world. The aim is to offer users the flexibility they need to solve their problems without any difficulty using the most suitable computing system. That is why, when it comes to software, the crucial point is to carry on continuously expanding the platform, insists Schulthess. The CSCS Director believes that this heterogeneous platform offering comprehensive services will pave the way for closer cooperation with the providers of publicly available cloud computing solutions. After all, scientists should ideally be able to move their work as required between their local computer – for example their laptop – and publicly available cloud services or the CSCS supercomputers.